People ask our team daily, “How much does a CT scanner cost?” That's kind of a broad question as there are many factors at play- a little like asking how much a home costs. A pop-up camper isn’t going to cost you much (you may even be able to pull one off my neighbor’s front lawn for free) but that Tudor mansion is going to put a far larger dent in your pocketbook. We want to help you get some clarity and get the CT scanner you need for the right price. To that end, consider the four questions below to start narrowing the options down by need and by preference. Then, stick around for the video clip where we'll break down current CT scanner costs into four simple tiers. Have a model in mind? Click here to check out our inventory of CT scanners for sale. It's a question our team addresses several times every week: "How much does a PET/CT scanner cost?" Well, the answer depends on a number of factors, and is seldom exactly the same from site-to-site, but we've compiled the ranges of current average pricing to help guide your search. There is one cost factor that is more telling than any other: slice count. The more slices the CT portion of the machine can capture, the more you'll pay for it. 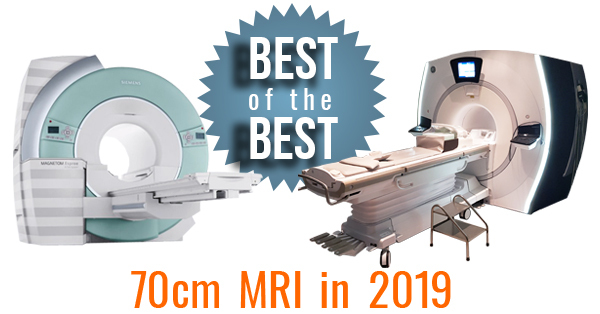 Watch the video or read the list below to see cost information for PET/CT scanners across the full range of slice counts. Looking for a custom PET/CT or PET scanner cost quote? 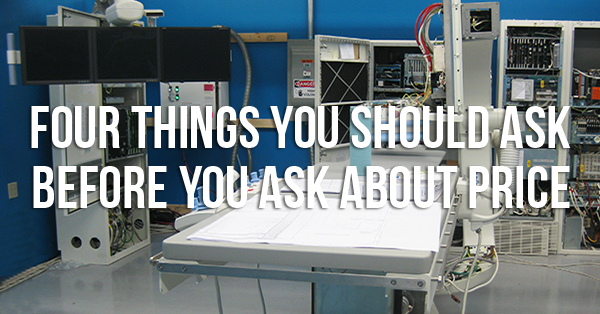 Click here to tell us about your project. 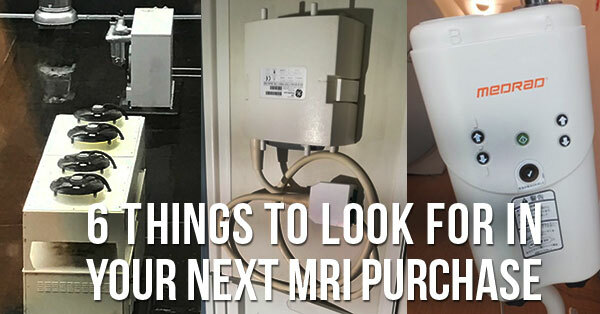 When you make an MRI purchase, it’s not often that the MRI scanner itself is the only thing you’re paying for. Because of that, we looked back at our experiences partnering with imaging facilities around the world to help you ensure you’re getting everything you’ll really need. Each and every day, our team has the opportunity to speak with dozens of imaging providers to discuss potential equipment upgrades from MR, to CT, cath labs, C-arms, PET/CT, digital mammo, bone densitometry, X-ray, and R/F rooms. Often, a conversation starts with price when in reality there are at least four key questions to tackle before narrowing in on the ever-so-important price question.